The 1950s was a decade Consejo Mundial de Lucha Libre didn’t want to see end. It had seen the promotion (still then EMLL for those keeping score) reach the highest of highs, from the most legendary matches in lucha libre history to the record setting crowds in the newly built Arena Mexico. Sadly, things were about to take a turn for the worst. It didn’t happen right away, with a new group of lucha legends arriving to keep everything stable through the 60s. 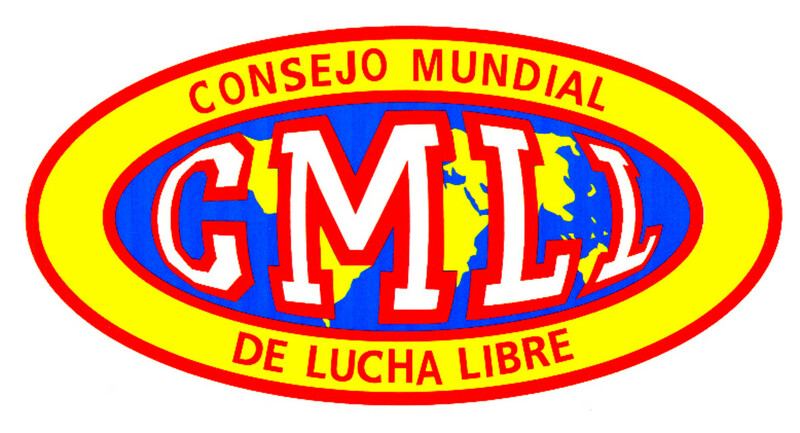 But the departure of Salvador Lutteroth in the mid 70s, coupled with his choice of successor, would prove to be a setback for CMLL that is still felt till this day. But 1975 is a long way from 1960, which is where our story continues. The thing to remember about all wrestling promotions is that, eventually, everything cools down. 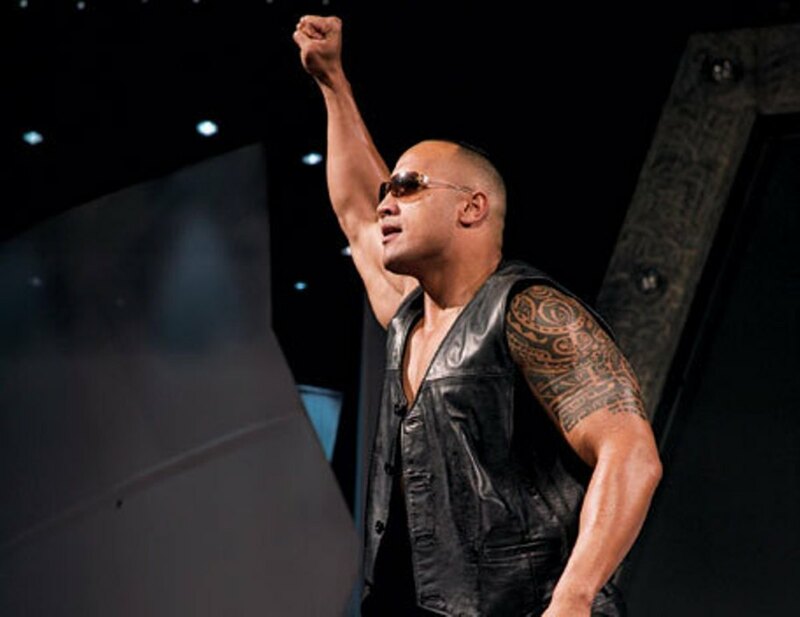 Whether it’s because the business is cyclical, a top star wearing out his welcome, a replacement failing to live up to his predecessor or a good promoter/booker suddenly losing his touch, sooner or later the well runs dry and you have to start over. By 1960 EMLL had thus far avoided going cold and, for all intents and purposes, showed no signs of doing so. After all, Salvador Lutteroth’s baby had found a way to reinvent itself and/or change the game each of the three decades it had been alive, whether it was finding the right luchador to push, building a specific arena or making the right business deal. Surely they would find a way to keep everything going strong. But by the close of 1960 there were signs that, for the first time, EMLL wasn’t as strong as before. 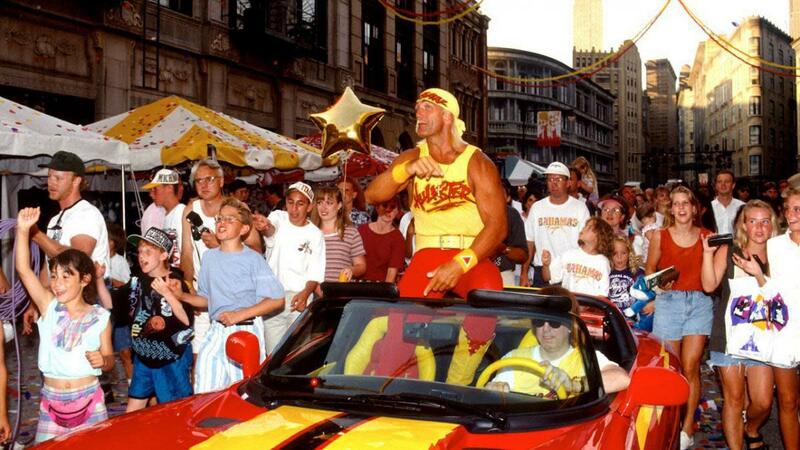 The most glaring example was the 27th Anniversario held on September 23rd. To that point, the Anniversario was a guaranteed sell out for Arena Model, Arena Coliseo or Arena Mexico. Not this time; only 13,000 fans showed up to watch up and comers Ruben Juarez and Ray Mendoza battle over the Mexican National Light Heavyweight Championship. Certainly 13,000 is nothing to sneeze at, but the several thousand empty seats in Arena Mexico proved that things weren’t running as smoothly as they were before. What caused things to take a downturn? For one, Lutteroth was confronted with the fact that the stars he had used to build EMLL’s pedigree were either starting to depart or getting long in the tooth. Jack O’Brien, one of the unsung heroes of EMLL’s early years, was gone, having departed for the US in 1956. Ditto for Jesús Velázquez, who left EMLL in 1995 to become a trainer, actor and screenwriter. Bobby Bonales, now in his mid 40’s, slowed his schedule down till he finally retired in 1965 to become a trainer. Even top stars like El Santo, Blue Demon, Gory Guerrero, Cavernario Galindo and Black Shadow were now all on the wrong side of 40 or close to it. But perhaps the most harmful departure was that of Tarzan Lopez. Up until Santo’s classic battles with Blue Demon and Black Shadow, the first star student of legendary trainer Diablo Velazco had been EMLL’s most popular star and one of the few people to ever get one over on the legendary Santo. Even after being surpassed Lopez continued to be one of EMLL’s biggest attractions, until an office dispute in 1957 turned his relationship with Lutteroth ugly. The story goes that Lopez asked for a loan from EMLL in order to help out a friend, who Lopez claimed was ill and in need of expensive medicine for his care. Despite offering to have the money taken out of his contract, Lopez was declined and ultimately parted EMLL on bad terms. 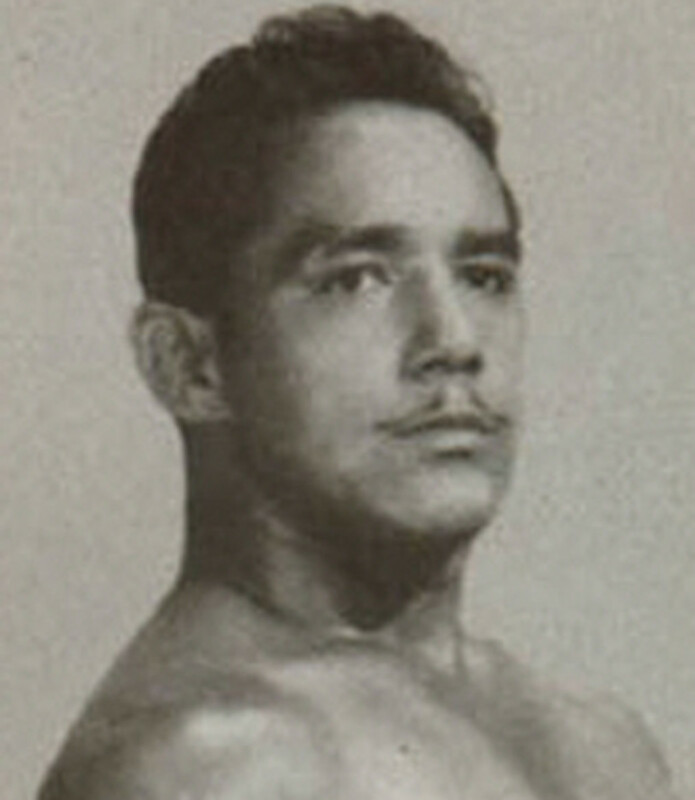 In fact, it was so bad that Lopez supposedly remained bitter about EMLL and lucha libre until his death in 1975, and his departure left many a EMLL luchador uneasy about Lutteroth. As all of that was going on, Lutteroth was also forced to contend with another problem; the film industry. As lucha libre began to take off, movie producers across Mexico decided to capitalize on the popularity by making films about/starring luchadors, starting with Hurácan Ramirez, the 1952 smash hit that was so popular it led to the creation of a real life Hurácan Ramirez just a few years later. As the popularity of lucha libre films grew, the two most sought after luchadors to serve as stars became El Santo and Blue Demon. It made sense; both men had become icons thanks to their legendary battles and Santo already had a degree of crossover fame thanks to his comic book series. By the mid 60s both men were banging out box office hits, with Santo notably securing his place as a Mexican icon thanks to roles in Santo contra los zombies (Santo vs. The Zombies), Santo contra el cerebro (Santo vs. the Diabolical Brain) and the legendary Santo contra las mujeres vampiro (Santo vs. the Vampire Women). While Santo and Demon continued to work with EMLL in between filming, their now hectic schedules made it more difficult for Lutteroth to use them whenever he pleased. To make matters more complicated, many other luchadors took part in these films as well, such as Cavernario Galindo, Bobby Bonales and Ray Mendoza appearing in Santo vs. the Vampire Women. It was a double-edged sword; on the one hand it helped Lutteroth’s business due to giving his luchadors more exposure. On the other, he no longer had the unlimited access to use luchadors whenever he pleased, and perhaps more notable, now wasn’t the only avenue luchadors had to get paid. In the face of these issues, Lutteroth went back to what worked for him during the 40s and 50s; trying new ideas and finding new talent. A whole crop of future lucha legends were brought into EMLL during the 60’s. The Hurácan Ramirez character, essayed by luchador Daniel Garcia, became a household name almost immediately, while youngsters like Ruben Carbajal, Raul Mata, Tony Salazar, Rayo de Jalisco, El Cobarde, Anibal and others were brought in to mesh with veterans like Guerrero and Galindo. Perhaps no find was greater than that of Mil Máscaras. From San Louis Potosi, the young Máscaras already showed promise beyond his 23 years of age, and quickly became one of Lutteroth’s top stars in the mid 60s. Lutteroth also looked across the border for names, bringing in Canadian Jerry London and Jamaican Dory Dixon to round up the roster. Both men turned out to be huge finds, with London having some of the best work of his career in Mexico while Dixon (who had been discovered by Lutteroth in the 50’s) became so popular that Mexico became his home base for almost the rest of his career. Even with Santo, Blue Demon and others off making movies some of the time, Lutteroth was able to rebuild a roster that could at least keep business respectable, if not great. If that wasn’t enough, Lutteroth began experimenting with the Anniversario. For the first 29 years, EMLL had produced only one show to celebrate their anniversary. For the 30th, Lutteroth decided to instead hold two Anniversario shows, similar to what AAA would do with their Triplemania show some 30 years later. The two events were built around a rivalry between Ruben Juarez (who passed away a day ago as of this writing) and the Espantos. Juarez was a respectable talent (though his true claim to fame wouldn’t come till he worked in NWA Hollywood a decade later), while Espanto I, II and III had developed into one of the more popular units in Mexico and one of the early popular examples of what is now known as a trios team. The first 33rd Anniversario Show, taking place on September 6th, 1963, saw Juarez take Espanto II’s hair, with the idea that Espanto I would then seek revenge at the second edition of the Anniversario. That’s exactly what happened a few weeks later, when Espanto I defeated Juarez and took his hair, restoring order to the universe. Lutteroth liked the concept enough that he did tried it four more times for the 33rd, 39th, 42nd and 44th Anniversario’s. As of today, the 44th Anniversario in 1977 remains the last Anniversario to be split into two shows, while the 42nd remains the only one to be split into three shows. More on those as we go along. In the midst of all the changes going on in EMLL, between new luchadors and new concepts, the question became who would be the next group of luchadors to rise to the Santo/Blue Demon level. On the one hand that was a silly hope; Santo and Demon were such icons at this point that the best hope for any luchador was to slot in just a tier below. Even still EMLL needed big stars if they were going to keep business consistently moving, and wouldn’t you know it, Lutteroth once again found those stars in addition to all the new faces he brought it. Perhaps the most amazing thing was that one of these guys wasn’t Mil Máscaras. Sure the young man was well on his way and by the time he left EMLL was a huge star, but his biggest impact on lucha libre mostly took place in Japan and the US, not EMLL. Instead, the big stars of the 60’s turned out to be two holdovers from the 1950s, the father of one of lucha libre’s greatest dynasties, a young phenom, a luchador clad in white and a doctor. By 1960, Karloff Lagarde had already been in EMLL for five years and had worked his way to becoming a reliable star. In fact, Lagarde was the man who ended Blue Demon’s five year run as the as the NWA World Welterweight Champion, a run that began when Demon defeated El Santo in that legendary 20th Anniversario match. But despite his reputation, Lagarde didn’t peak until he began associating with a young luchador named René Guajardo. A six year veteran by 1960, Guajardo had spent most his career working as a technico before catching a glimpse of Lagarde in Monterrey. The two quickly became friends and Guajardo made the switch from technico to rudo; before he knew it he was Lagarde’s regular partner in Arena Mexico and a rising star. Known as Los Rebeldes (The Rebels), Lagarde and Guajardo quickly became two of the most hated rudos in EMLL, cemented when Guajardo defeated his trainer and mentor Rolando Vera for the NWA World Middleweight Championship on October 13th, 1960. It was the first of what turned out to be five reigns as champion for Guajardo, making him one of the most successful middleweights in the history of EMLL. But as great as Los Rebeldes were as a duo, they hit their greatest heights as a trio once Ray Mendoza came along. The most gifted of the three Rebeldes, Mendoza got his start in lucha libre by accident; he had originally been a boxer until a sparring incident led to an injury the derailed what may have been a promising career. Turning to lucha libre, Mendoza trained with Ray Carrasco before debuting in Monterrey in 1954, using the name Ray Mendoza as a tribute to both his trainer and his wife (whose last name was, you guessed it, Mendoza). Mendoza quickly caught the eye of Lutteroth and began working for EMLL in 1956; by the 60’s he was already on the way to becoming one of the most famous non masked luchadors in history, as well as the first Mexican born luchador to hold the NWA World Light Heavyweight Championship. His skills as a rudo, not to mention his friendship with both Lagarde and Guajardo, made him a natural fit as the third Rebelde. 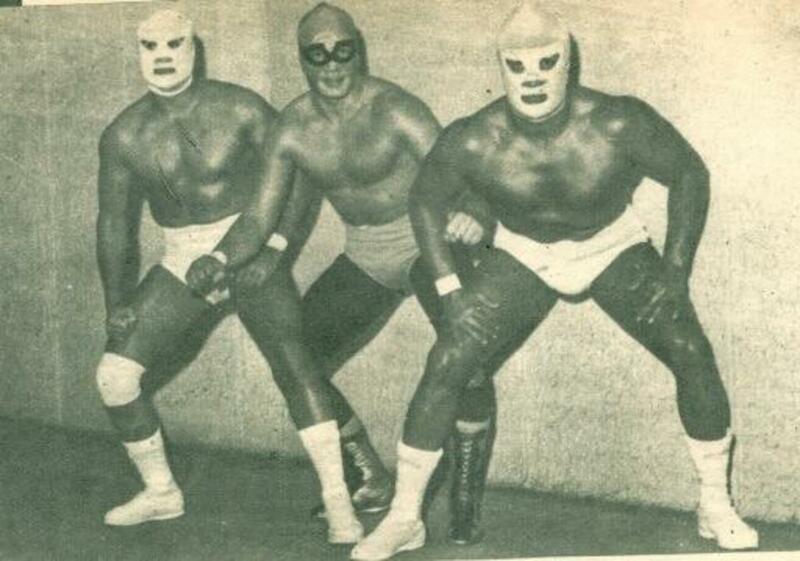 Together, Los Rebeldes, along with the Espantos, became one of the first legendary trios in EMLL history. 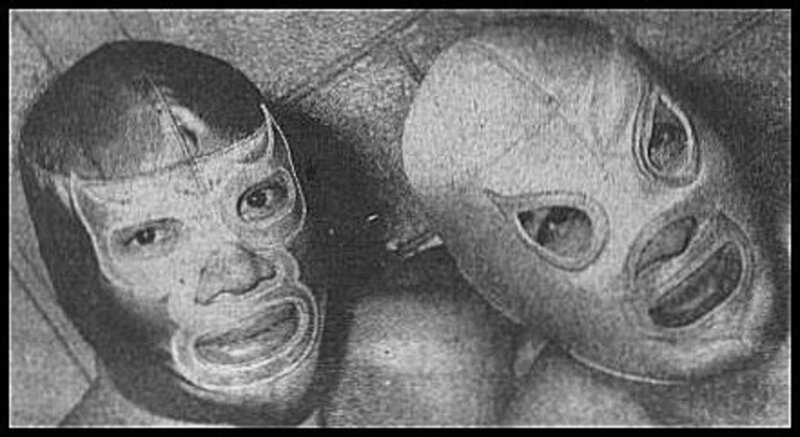 During the early part of the 60’s the three had memorable battles with technico and rudo teams alike, first with the dream team of Santo, Rayo de Jalisco and Blue Demon, then against the Espantos themselves. The latter feud was unique, as while rudo vs. rudo battles had happened before, only Gory Guerrero and Cavernario Galindo’s bloody battles resembled the sort of violence the Espantos and Los Rebeldes did to each other. In addition to their success as a unit, all three Rebeldes also continued to have singles success. 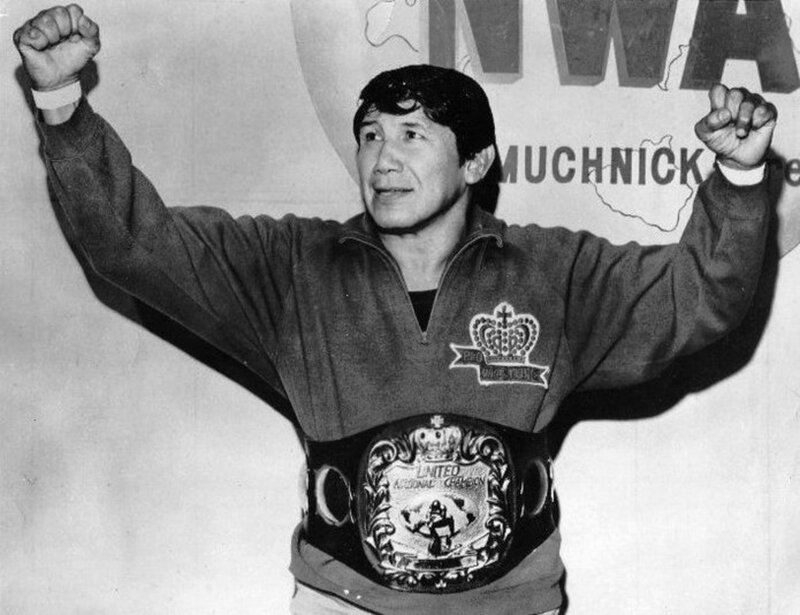 Guajardo continuing to dominate the middleweight division while Mendoza had amazing battles with Gory Guerrero that were considered some of the best technical wrestling matches of the era. Arguably more impressive was Lagarde, who on March 21st, 1961 defeated El Santo to end his near five year run as NWA World Middleweight Champion. As successful as the three were in the ring, arguably their greatest contribution to EMLL was what they did out of it. As three of the most respected luchadors in EMLL, Mendoza, Guajardo and Lagarde became the leaders of the locker room, standing up for the boys and voicing concerns to Lutteroth and the front office when they felt it warranted. The headstrong attitude of the three would prove valuable for EMLL early on, but it would ultimately prove costly when the front office later refused to play ball. By 1965, Mendoza had gotten so popular that it was obvious he would have to turn technico sooner than later. So on June 18th, EMLL booked a one night tag tournament that just so happened to have Mendoza and Lagarde on opposite sides of the bracket. The two would end up meeting in the finals and ultimately Mendoza and his partner, Cavernario Galindo, triumphed over Lagarde and Benito Galan. The loss haunted Lagarde, and he wound up challenging his partner to a hair vs. hair match. Taking place on July 30th, Mendoza defeated Lagarde again and took his hair in an epic match that served as the end of Los Rebeldes as a trio. Not only could Lagarde not handle Mendoza surpassing him but neither could Guajardo, who sided with Lagarde against Mendoza. In response, Mendoza began teaming with Mil Máscaras and El Santo against his old friends over the next few weeks, coming out victorious each time. The fans went absolutely bonkers for this feud, and Lutteroth quickly booked Mendoza vs. Guajardo in a hair vs. hair match on August 20th. Just like the old days, a full house showed up to see Guajardo defeat his old friend and avenge Lagarde’s loss, with the match ultimately drawing a $150K in pesos, making it one of the highest grossing matches of the decade. The Mendoza-Guajardo issues didn’t stop there, as the two feuded over the NWA World Middleweight Championship and the NWA World Light Heavyweight Championship over the next several years. While Mendoza won most of these matches, he never got another chance to take Guajardo’s hair, giving his friend bragging rights for the rest of his career. As the Rebeldes were conquering the world and then each other, another group was also gaining prestige within EMLL. 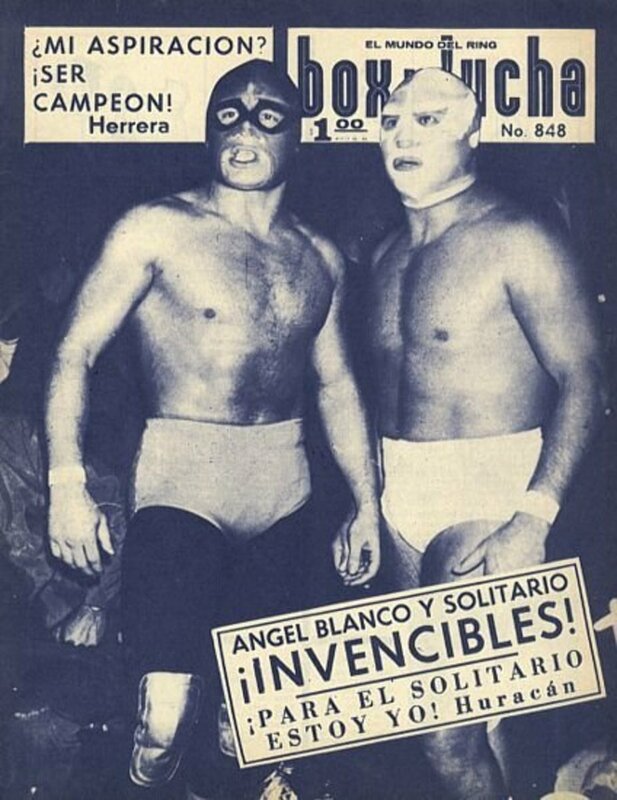 Among other signings Lutteroth had made in the 60’s were two luchadors working out of Northern Mexico; Ángel Blanco and Dr. Wagner (you may know his son). A veteran of the Torreón circuit, Blanco came highly respected thanks to a natural charisma and an excellent work ethic. Wagner was even more impressive. Born Manuel Gonzalez Rivera in Zacatecas, Wagner was known as one of the most dedicated workers in the Guadalajara circuit; it is said he would wake up at 5 a.m. every day, work in the market area unloading trucks and then spend the rest of his time wrestling. Seeing something in him, promoter Elias Simon suggested Wagner, who was using a variety of gimmicks at the time, change his name to El Hijo del Medico Asesino. Wagner was uncomfortable with this; the original Medico Asesino had been a star for EMLL in the 50’s before dying of cancer in 1960, and he felt it would be a dishonorable idea to use the name. So instead Wagner came up with his now famous name, supposedly inspired by German composer Richard Wagner. There’s some evidence to suggest he wasn’t a first to use the Wagner name, as another luchador is recorded as wrestling as Dr. Wagner as far back as September of 1941. Alas that luchador disappeared soon after (if he was even around at all) and there’s no evidence that Wagner knew of this luchador, let alone stole his name. By the mid 60’s both men were in EMLL, but only Wagner had really begun to prosper, having won the hair of Raul Reyes in Arena Mexico in early 1966. 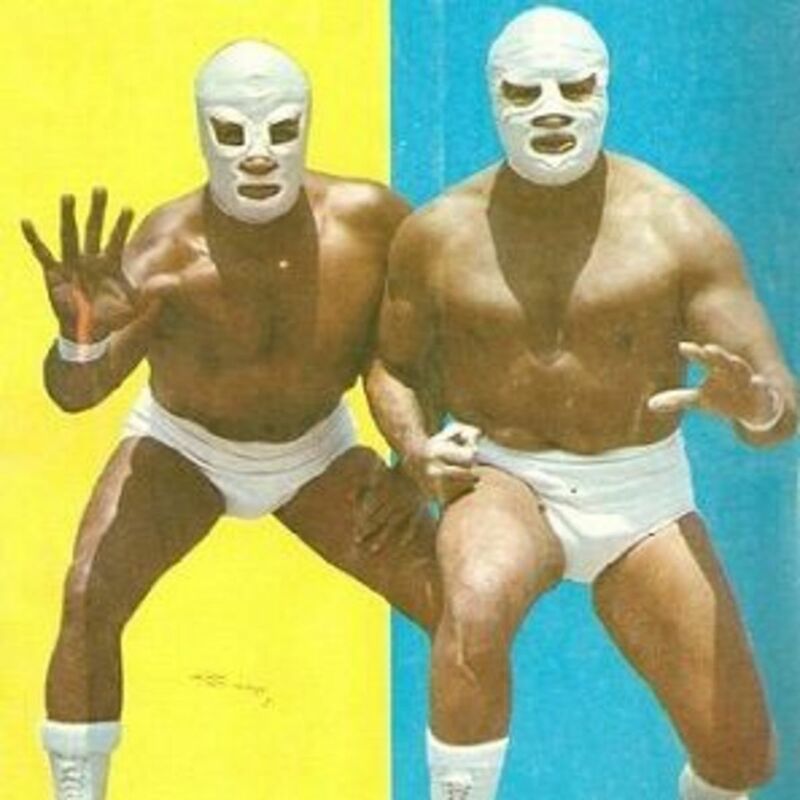 Due to their similar appearances (both men wore white mask and white trunks), the duo were soon put together and given the name La Ola Blanca (The White Wave). It didn’t take long for everyone to realize Blanco and Wagner had excellent chemistry together and they were soon second only to Los Rebeldes as the top tag team in Mexico, defeating the likes of Mendoza and Rayo de Jalisco, Mil Máscaras and Han Lee and even the legendary dream team of El Santo and Rayo de Jalisco. Eventually the duo won the National Tag Team Championships and found themselves matched up against Los Rebeldes, who held the World Tag Team Championships at the time. In an upset victory, Wagner and Blanco prevailed over Guajardo and Lagarde, proving they were the dominant tag team in Mexico. Amazingly things were only going to get better for the duo, as they were about to be joined by the greatest lucha libre prospect since El Santo. The story of El Solitario is the stuff of legends. Born Roberto Gonzalez Cruz on May 22nd, 1946, Solitario grew up in a poor family, the youngest of seven children. Determined to make a better life for himself, Solitario rebelled against his conditions; he dropped out of school when he was barely older than ten and soon after left his family to set out on his own. But his life would truly be changed forever in 1959, when 13 year old Solitario learned of the death of his older brother. The news hit him hard; not only did Solitario worship his brother, but he worshiped his brother’s career as a luchador under the name Othon Banzica. It is said the death fueled Solitario to follow in his brother’s footsteps, both to honor his memory and to avenge his brother’s death by becoming the biggest lucha star he could. Solitario would end up debuting at the age of 14, but he struggled for years to catch on, bouncing between Jalisco, Tijuana and several other towns before finally returning home with no money. Even then he didn’t give up, and eventually built enough of a name locally that he was able to get booked in Guadalajara. It was there he discarded his first gimmick, El Sica (a tribute to his brother) and became Solitario, a character inspired by the legendary Lone Ranger character. Soon after the change Solitario became one of the biggest stars in Guadalajara, his years of hard work and honing of his craft turning him into a world class talent at just twenty years old. 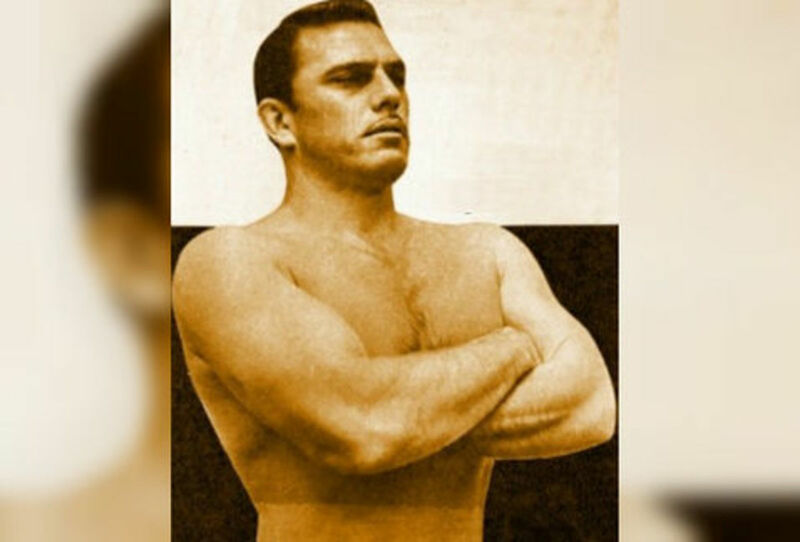 It was no wonder when EMLL came calling the youngster to make his debut in Arena Mexico on September 6th, 1966. Booked as a rudo, Solitario spent two years building up his name before Lutteroth decided to give him his first big Apuesta match against Ray Mendoza. The buildup to the match had been a slow burn, with Mendoza following the rising Solitario with great interest before determining he was a threat that needed to be unmasked. After Mendoza unmasked Solitario in several matches, the two were booked for a mask vs. hair match on December 13th, 1968. With the help of an NWA World Middleweight Championship match between El Santo and René Guajardo on the undercard, Arena Mexico was sold out yet again for this bout. But none of them could’ve expected what would happen; in one of the most shocking upsets in EMLL history, the 22 year old Solitario defeated Mendoza and took his hair. But Lutteroth wasn’t done. In a stroke of genius, Mendoza’s old friend Guajardo quickly challenged Solitario to another mask vs. hair match, hoping to avenge the loss. It was to no avail; just twelve days later on Christmas Day, Solitario took Guajardo’s hair just like he did Mendoza’s. Just like that, Solitario had gone from up and coming star to mega star, with incomparable wrestling skills to go along with his popularity. But EMLL wasn’t ready to turn Solitario technico just yet. First they needed to set up the perfect rudos to face him, and what better way to do that than how they handled things with Mendoza, Lagarde and Guajardo? So soon after he defeated Mendoza and Guajardo, Solitario found himself the newest member of La Ola Blanca alongside both Dr. Wagner and Ángel Blanco. Despite it making little sense for the golden masked Solitario to be part of a group known as the White Wave, the trio soon became the hottest trio since…well the Rebeldes in the early part of the decade. Just like the Rebeldes, La Ola Blanca saw Wagner, Blanco and Solitario dominate as a trio and as individuals, with Solitario defeating Rayo de Jalisco for the NWA World Middleweight Championship on August 15th, 1969, while Blanco won the National Heavyweight Championship the same year. Regardless of what Wagner or Blanco did however, Solitario continued to stand out far more than them, with his popularity seemingly growing by the second. The original La Ola Blanca members let jealousy get the best of them and by the end of the year the hottest act in Mexico that wasn’t El Santo or Blue Demon had broken up, with Wagner and Blanco turning on Solitario. The betrayal effectively made Solitario a technico for life and started what would turn into one of the longest legendary feuds in lucha libre history. Like the Santo-Blue Demon feud from the 50’s, EMLL was patient to pull the trigger on the first big Apuesta match between Solitario and Blanco/Wagner, holding off for over three years while the two sides battled in trios and tag matches. It was not until December 8th, 1972 that EMLL finally delivered, pitting Solitario vs. Ángel Blanco with both men’s masks on the line. Not only did Arena Mexico have no problem selling out but they were overflowing with fans; over 20,000 showed up to see this, making it one of the largest crowds in Arena Mexico. Unfortunately for Blanco, there would be no upset like there was in December of 68, as Solitario defeated his former partner and took his mask in a great match. In theory, the bout was supposed to accomplish three different goals; it would further establish Solitario as one of the new legends, it would keep Blanco strong despite losing the mask and, most importantly, it would set up Dr. Wagner to try and get revenge against Solitario in an even bigger mask match. The first two goals were accomplished; Solitario somehow got even more over and Blanco wasn’t hurt losing the mask at all, as his charisma and personality carried over even without it. But unfortunately for Lutteroth and EMLL, the Wagner-Solitario mask vs. mask match would never take place under their banner, as a controversial move by Lutteroth would lead to both men leaving the promotion a little more than two years later. Salvador Lutteroth had done everything he had ever set out to do. He fought for his country. He worked for his country. He created a wrestling promotion that would turn lucha libre into a household name. He signed the best talent. He built the biggest and best arenas to showcase his talent. He popularized matches and concepts still used today. Perhaps most impressively, he embraced the rise of television, kept his roster together in a time when many could’ve gone into film full time and managed to keep lucha libre popular as more alternatives became available. Truly, Lutteroth had conquered everything there was to conquer and made every dream of his come true. But as 1975 was fast approaching with EMLL continuing to do steady business, Lutteroth realized there was one entity he couldn’t beat; time. 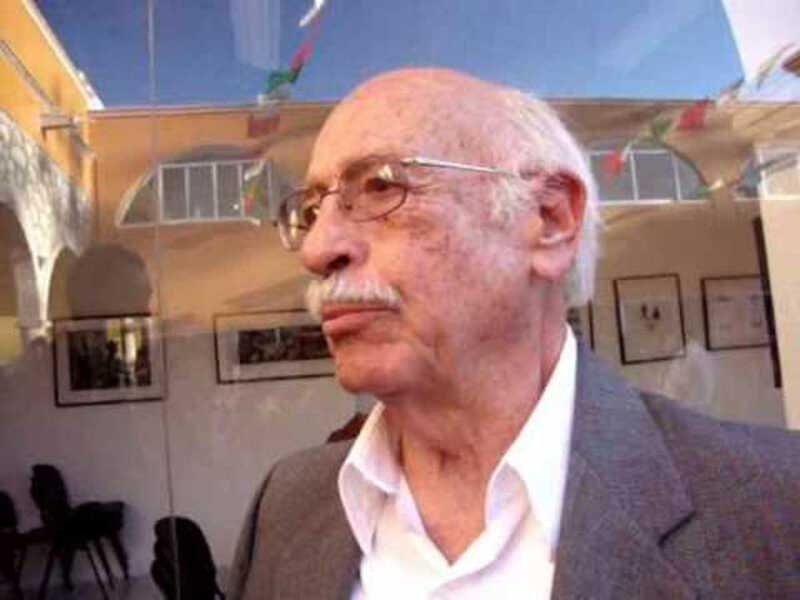 Nearing 80 years old, Lutteroth no longer had the energy to continue running EMLL on a full time basis, despite the passion he still had for lucha libre. 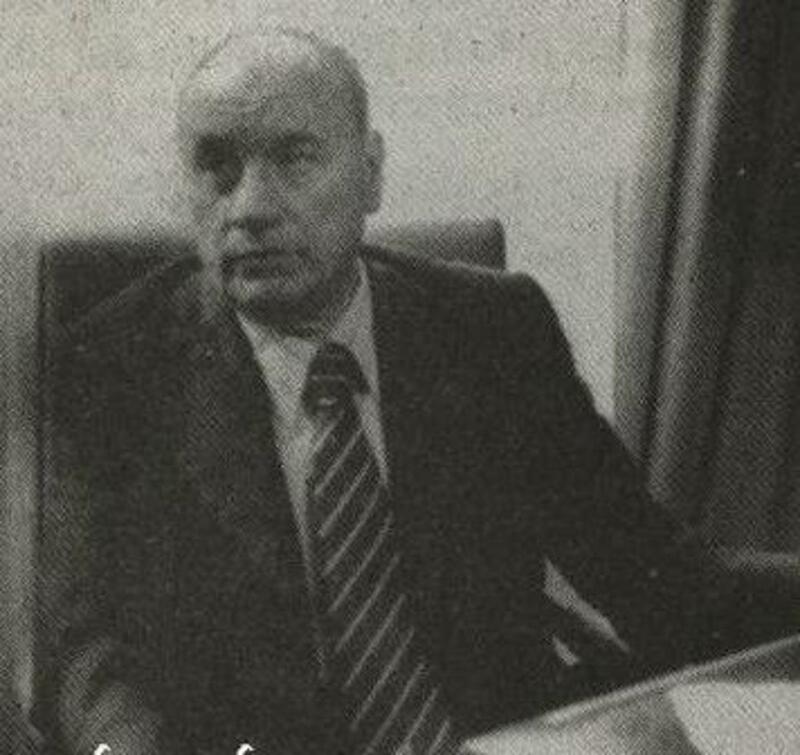 So in late 1974, after 51 years, Salvador Lutteroth stepped down as the owner and promoter of EMLL. In doing so he may have made the biggest mistake of his career; in his place, Lutteroth named his son, Salvador “Chavo” Lutteroth Jr. as his replacement. It should be said; despite all the wonderful things he did for EMLL and lucha libre over the course of his career, Salvador Lutteroth wasn’t a universally beloved figure. He most certainly prioritized EMLL over any luchador or issue (see the Tarzan Lopez issue) and there’s no question that he was the main catalyst behind EMLL monopolizing lucha libre in Mexico. There is no question he made enemies. But even among his enemies Lutteroth had the respect of almost everyone for how he built EMLL into an empire. His son Chavo did not have that same respect. On the contrary, Chavo was everything his father wasn’t; he had little desire to try new things, did not seem to share the same passion for wrestling his father had and was notoriously cheap with luchadors (to be fair, his father had been that way to an extent as well). It’s hard to blame him for wanting to change the product too much; there was a reason EMLL had been a success for so many years after all. But as he had no respect from the locker room, all the luchadors saw in Chavo was a representation of his father’s bad habits; a man who would continue to short change them and who would continue to restrict where they could or couldn’t be booked. In effect, Lutteroth promoting his son was the last straw. Like almost everything else over the past decade, the first luchadors to do something about the change were Ray Mendoza, Karloff Lagarde and René Guajardo. All three were already unhappy in EMLL anyway, especially Mendoza, who felt that his five sons (Villano I, II, III, IV and V) weren’t getting the opportunity they deserved. Chavo’s ascension to the head of the company was too much for all three to take, so they put in a call to promoter Francisco Flores. Flores had been one of EMLL’s top promoters based out of Naucalpan, until Lutteroth stopped sending him talent and requested that he book shows according to Lutteroth’s guidelines. Flores quit EMLL over this and went onto promote shows himself; when Mendoza, Lagarde and Guajardo called him to see if they could put something together, he jumped at the chance. 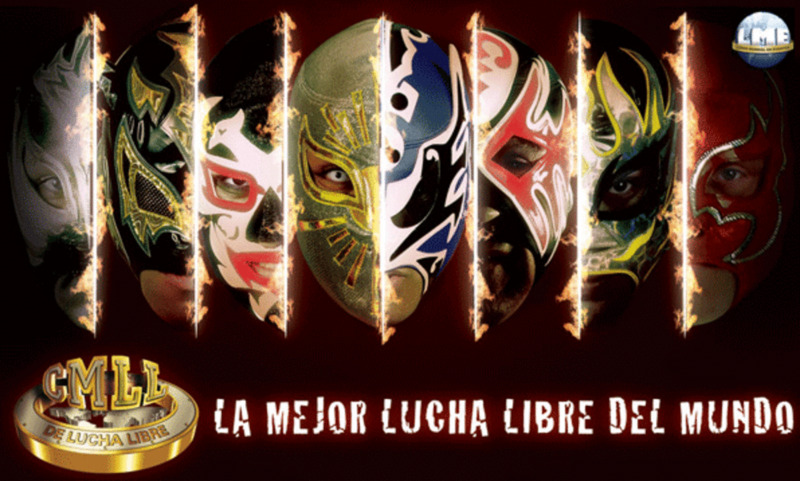 The four developed the idea for a promotion that would be built around the young lucha libre talent of Mexico, as well as a promotion that wouldn’t bind them to one spot; if a luchador wanted to go work somewhere else, they could. This is how, on January 16th, 1975, with the financial backing of Benjamin Mora Jr., Flores and Mendoza opened up the promotion Lucha Libre Internacional, or as it more famous became known as, the Universal Wrestling Association. The move sent shockwaves through Mexico. 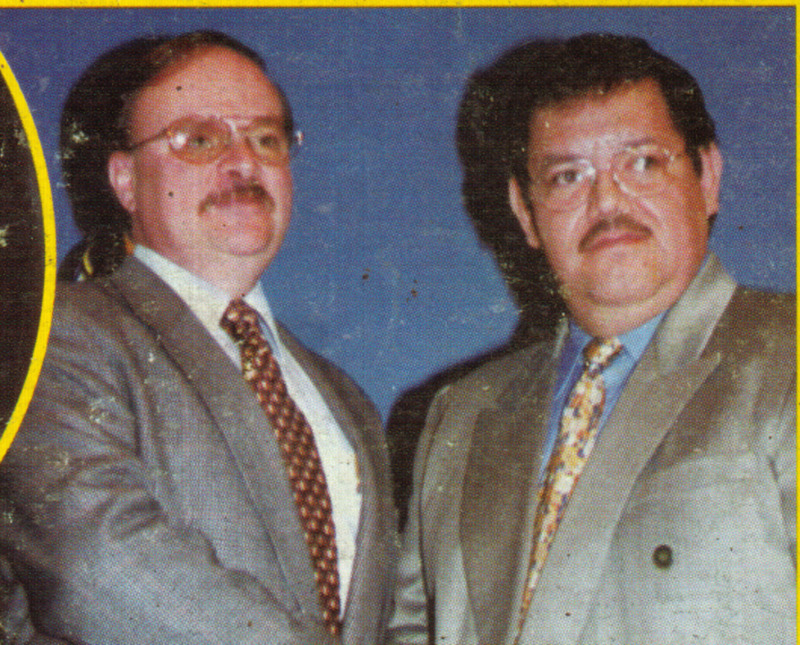 Though there had been numerous promotions in Mexico aside from EMLL, the UWA represented the first promotion that had the vision and the money to compete with EMLL. A battle for talent soon started and EMLL lost big. It wasn’t full swoop, but by the end of 1975 UWA had pretty much walked away with EMLL’s roster. The list of talent jumping included top stars like Mendoza, Lagarde, Guajardo, Solitario, Mil Máscaras, Dr. Wagner, Ángel Blanco, Rayo de Jalisco, Dory Dixon and Anibal and even more importantly most of EMLL’s young luchadors like the Villanos, Fishman, Tinieblas, Dos Caras and a lower card luchador named El Canek. And that was just at the beginning; even more luchadors would jump from EMLL to UWA in the coming years due Chavo’s handling of affairs. Well that and the fact that UWA did indeed offer the freedom to wrestle anywhere and everywhere without restrictions. The fact that EMLL was ultimately able to recover from a move like this is unbelievable, especially when you consider the ramifications of UWA’s formation. The short term is the most glaring, as EMLL quickly lost the bulk of the talent that made them the apple of lucha libre’s eye. But the long term ramifications were even greater. The things EMLL lost out on by choosing Chavo to succeed his father is astounding. If Salvador Lutteroth chooses his successor wisely then EMLL continues on unabated, with El Canek likely developing into their big rudo and the Solitario-Dr. Wagner mask match setting another record in Arena Mexico. Instead Solitario and Wagner sold out the 15,000 seated Plazo de Toros Monumental in Monterrey ten years later (in one of the most legendary mask matches of all time) while Canek would go on to become one of the greatest draws in lucha libre history, accomplishing such feats such as slamming Andre the Giant. All of that and more EMLL missed out on because Lutteroth chose wrong. I’d like to say that EMLL/CMLL would learn from this mistake in the years since then, but it’s arguable that the same things that led to the formation of the UWA (nepotism, an unwillingness to change and grow) are still hurting the promotion to this day. So how did EMLL counter the UWA’s formation? Well, Chavo turned to one of the few big stars that remained behind; El Santo. I don’t know whether it was loyalty or the fact that he was making money on the side from his films, but Santo was one of the few (along with Blue Demon) who did not jump during the UWA exodus. Thank goodness for EMLL; even though he was well past his prime at 58 years old, Santo was still the most popular luchador in Mexico and a man who could sell tickets with anyone. Chavo put that theory to the test when he stuck Santo with a 29 year old luchador from Zacatecas named Perro Aguayo. Like Solitario, Aguayo had come up the hard way, forced to work when he was five years old and gutting through a vigorous training period just to become a luchador. At only five years experience many wondered if Aguayo was the right guy to be, what many figured, Santo’s last great rival. Not only did that turn out to be the case, but many today consider Aguayo to be one of the greatest rivals that Santo ever had. It was decided that the feud between Santo and Aguayo would culminate at the 42nd Anniversario, which you may recall was split into three shows. This was intentional; not only did EMLL want to use at least one of the first two shows to draw interest in Santo-Aguayo, but they also were trying to counteract UWA by filling Arena Mexico as many times as possible. The first part of the Anniversario didn’t feature Santo or Aguayo in a big match, instead being headlined by Dr. Wagner defeating Ángel Blanco (in one of their final matches before jumping to UWA) and a Apuestas tag match where Los Gemelo Diablos defeated Coloso Colosetti and Rubi Rubalcava, the latter of whom would become one of the most popular exoticos of all time. The second show however did, pitting Santo against Aguayo in a match for Santo’s NWA World Middleweight Championship. 17,500 fans watched in shock as Aguayo upset Santo, a callback to Santo’s early feuds where he would put over his opponent first before winning when it counted. Sure enough, Santo got his revenge on Aguayo a week later in front of another sold out crowd, taking Aguayo’s hair in what many feel was the last classic match of Santo’s career. Despite all the turmoil throughout the year, EMLL proved they were still the king, drawing 35,000 fans combined for the two Santo-Aguayo matches. So who was the face of EMLL during this time period?